Para leer este párrafo en castellano desplaza el cursor hacia abajo. 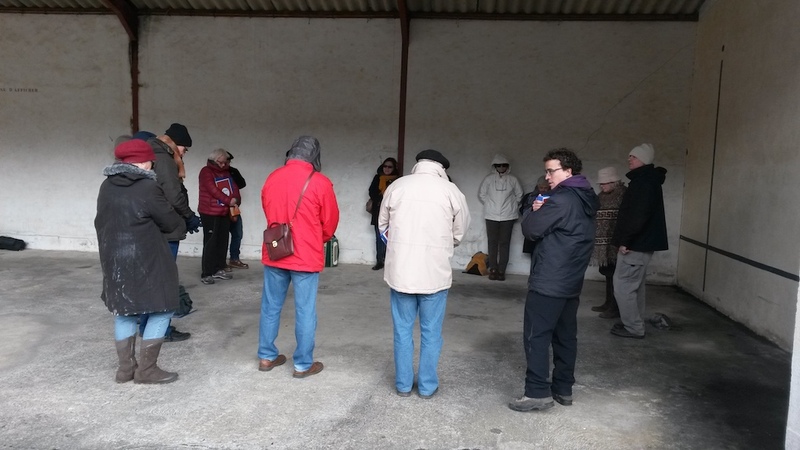 This past Saturday there was a small group of believers that met in a small French Basque province to pray for God to move in that region of Basque Country. In this small area there are currently no Evangelical churches and only one couple who are believers. That’s 2 people. This province needs a movement of the Holy Spirit badly! Over the next 6 weekends there will be similar prayer gatherings in the other 6 Basque provinces to ask God to move. We’re also calling people to pray for the 30 days leading up to Easter that God would cause a Holy Spirit movement of people coming to Him in the Basque Country. Please pray for these believers, for this country, and for the prayer movement to continue to expand. El Sábado pasado hubo un pequeño grupo de creyentes que se reunieron en una pequeña provincia Vasca Francesa para orar por un mover de Dios en esa región del País Vasco. En esta pequeña provincia actualmente no hay iglesias evangélicas y sólo vive una pareja de creyentes. !Sólo dos personas! Esta región necesita un movimiento del Espíritu Santo. En los próximos seis fines de semana habrá otra caminatas de oración similares a esta en otras 6 provincias Vascas para pedir por un mover de Dios.